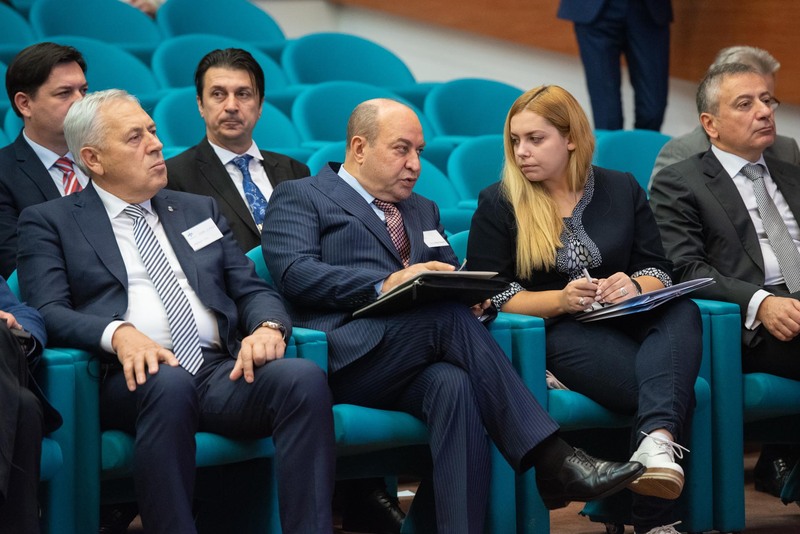 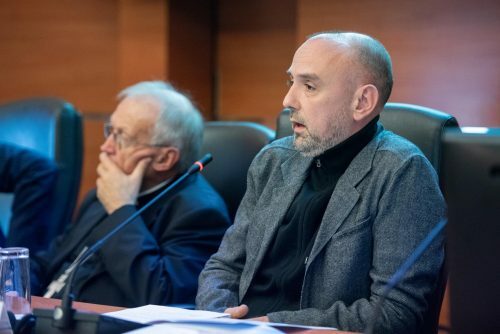 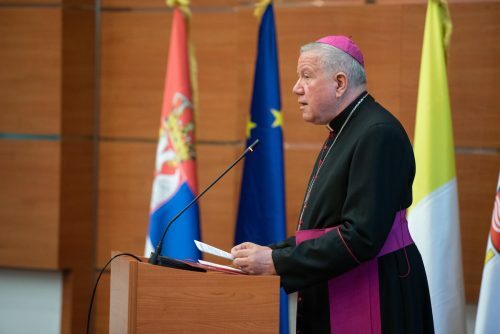 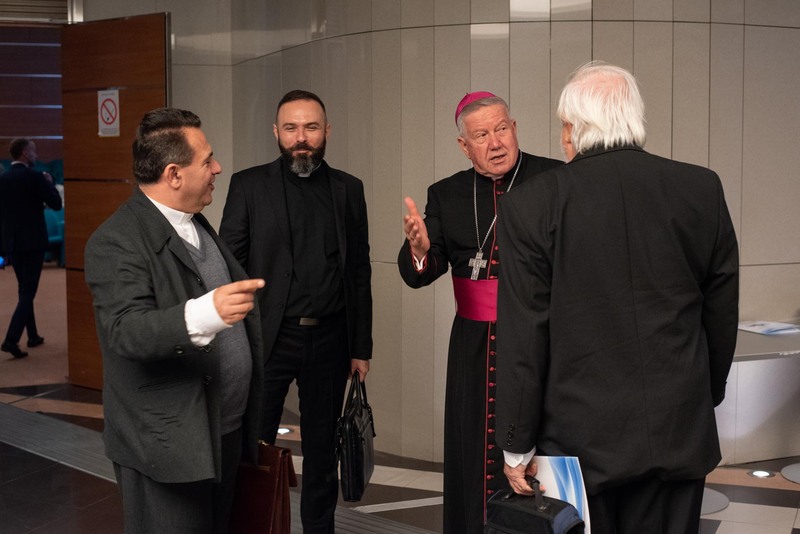 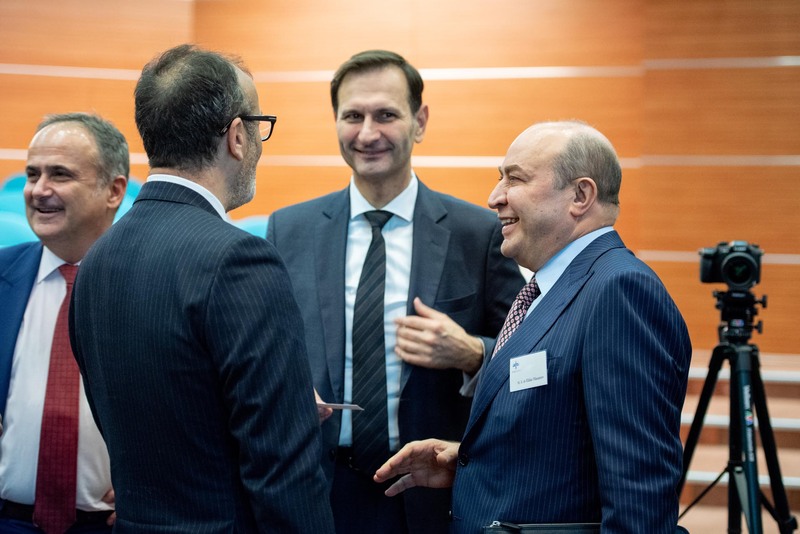 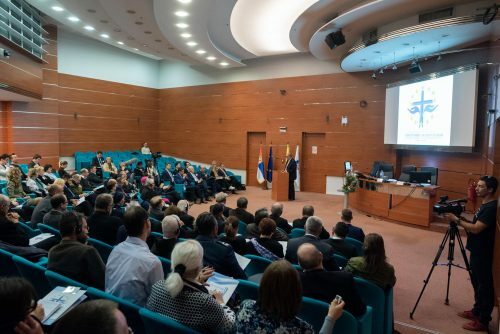 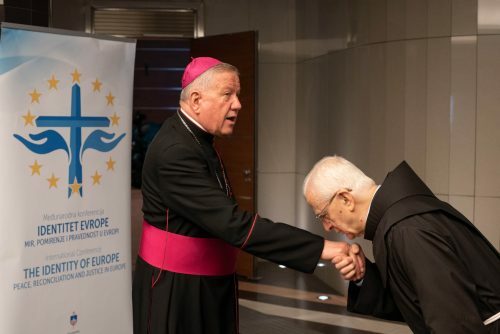 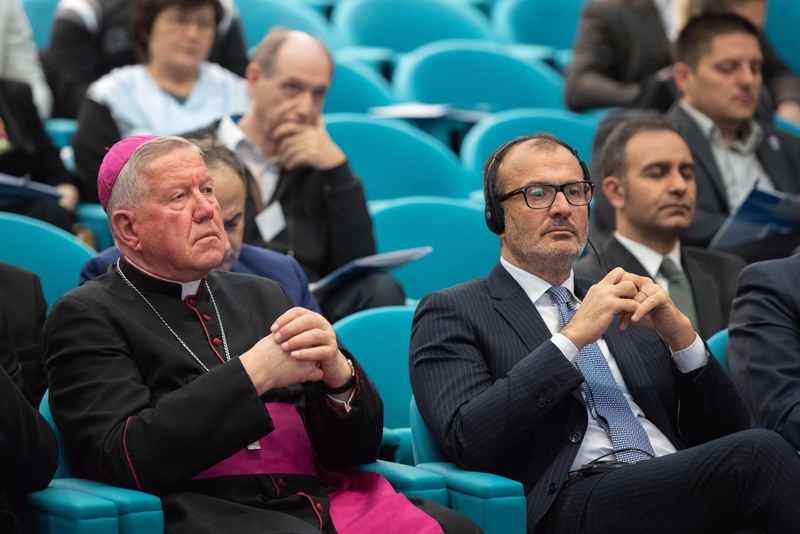 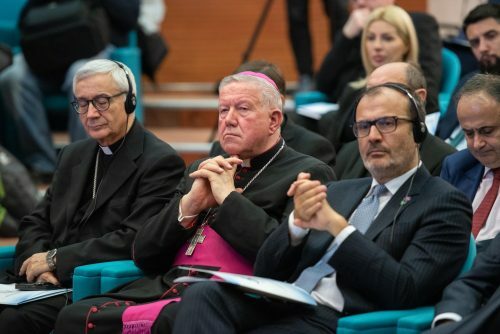 The International Conference “European Identity”, organized by the Belgrade Catholic Archdiocese with the support of the International Foundation for Sustainable Peace and Development (IFSPD), was held on 9 November 2018, in Belgrade (Serbia). 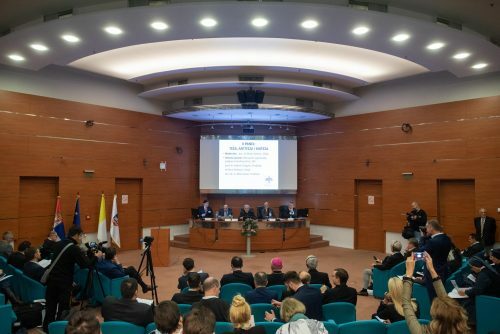 The objective of this conference was to send a message of peace on the occasion of the 100th anniversary of the end of the First World War. 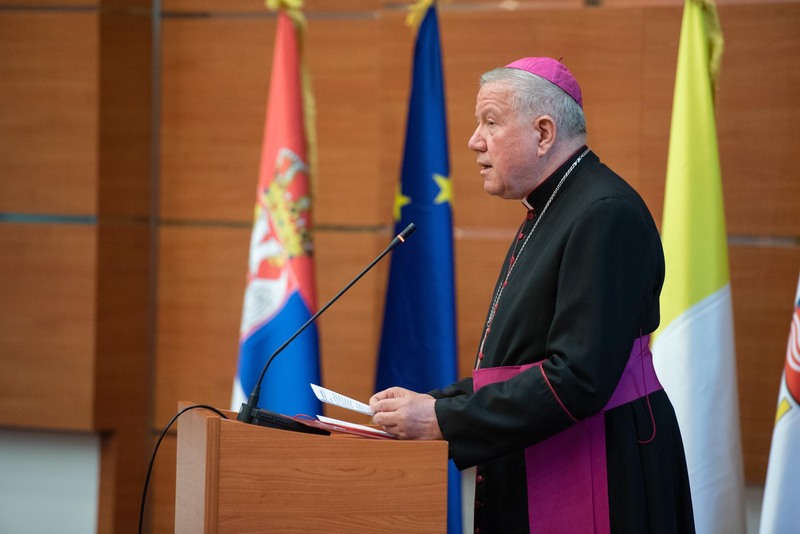 The Belgrade Catholic Archbishop, His Excellency Stanislav Hocevar, and H.E. 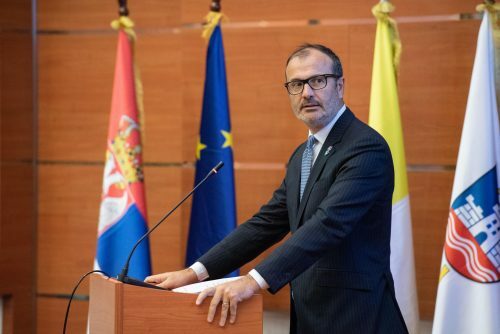 Sem Fabrizi, Ambassador of the EU Delegation to Serbia made a welcoming speech and in their speeches they stressed the importance of holding this conference, as well as the relevance of the issues to be discussed. 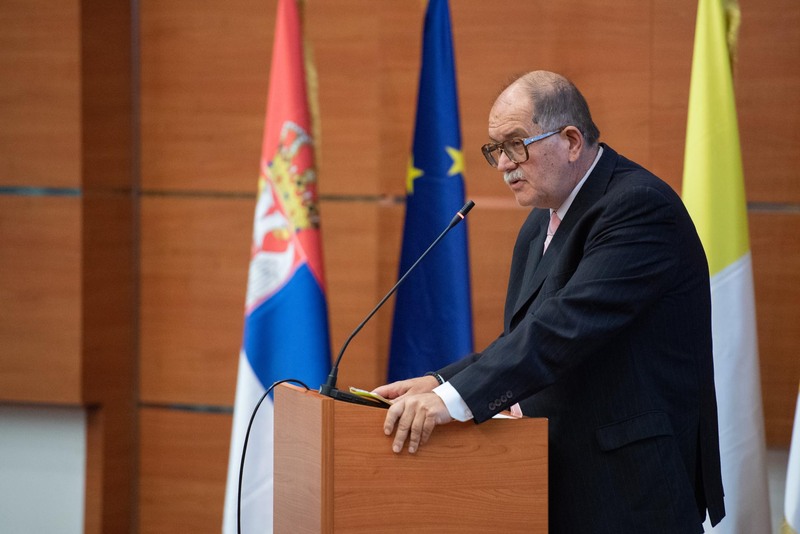 The opening speech was delivered by Prof. Darko Tanaskovic, Ph.D., a fully-fledged member of the IFSPD. 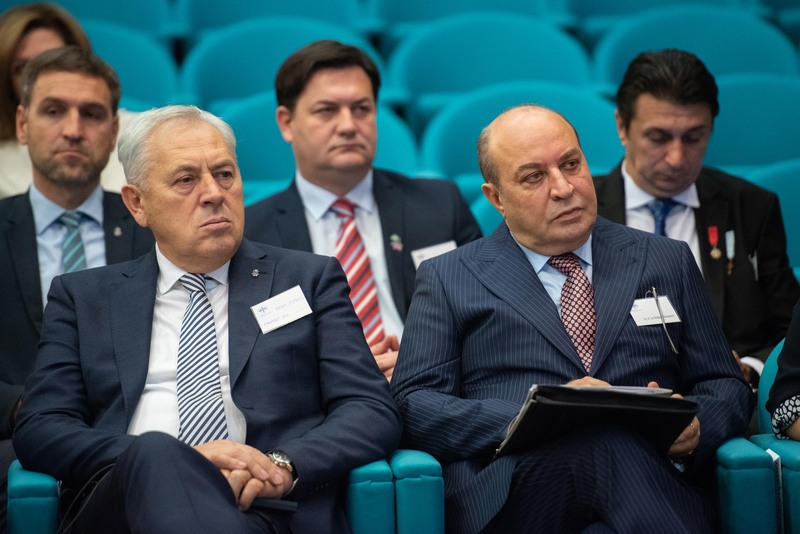 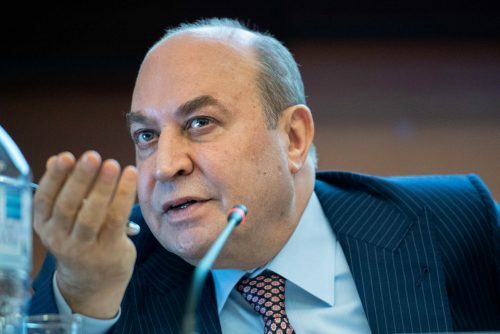 Prof. Dr. Tanaskovich, in his speech, touched upon many topical issues that impede the establishment of peace, and the ability to overcome these problems. 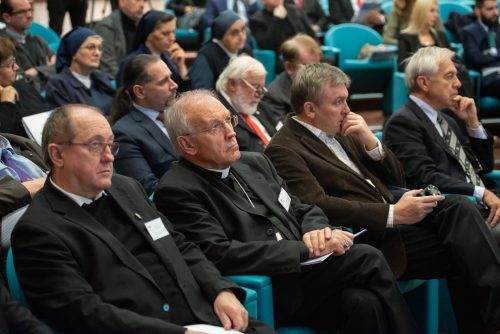 Conference participants spoke in three panels. 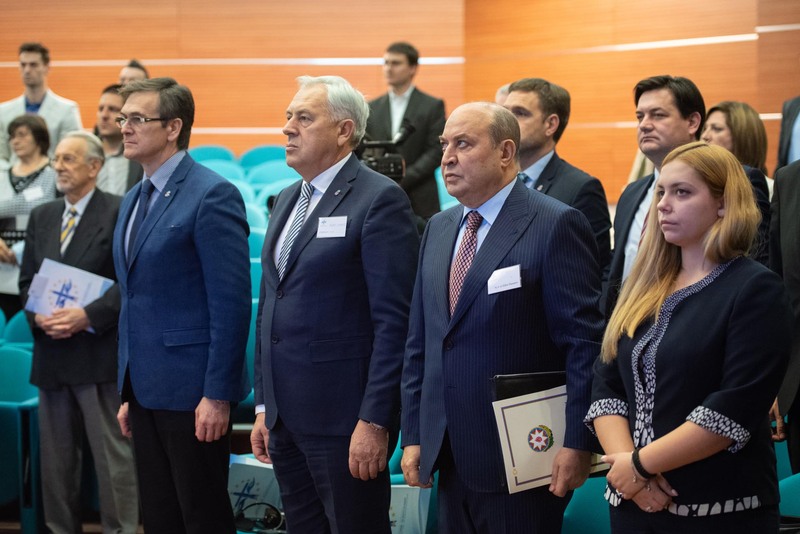 In the first panel titled “Freedom is responsibility”, the moderator was Prof. Dejan Miletić, Ph.D., Serbia, and the participants of this panel were Bishop Anton Stres, Slovenia, Prof. Nikola Samardzic, Ph.D., University of Belgrade, Prof. Marko Trajkovic, Ph.D., Serbia, and H.E. 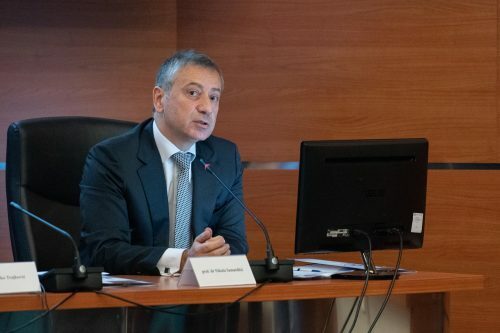 Prof. Eldar Hasanov, Ph.D., Secretary General of the International Foundation for Sustainable Peace and Development (IFSPD). In their reports, from different points of view – religious, legal, philosophical and political – panelists discussed the issue of freedom which entails responsibility, the issue of restrictions and violations of the right to freedom, violation of territorial integrity, sovereignty, inviolability of borders and respect of the norms and principles of international law, and they also sent a message of mutual respect, multiculturalism and coexistence, considering this as fundaments for the realization of the peace and freedom of any person and people. 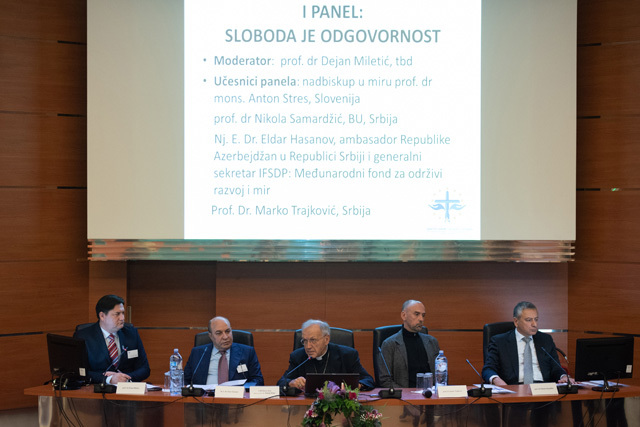 In the second panel “Thesis, Antithesis and Synthesis” participated the representative of the Serbian Orthodox Church Mr. Milos, Prof. Vladimir Dugalic, Ph.D., Croatia, Petar Petkovic, Ph.D. Serbia, and Doc. Miro Kovac, Ph.D., Croatia. In this panel, peace and prosperity were set up as the thesis, as antithesis – conflicts and differences, and as a synthesis of everything – the ecumenism and the possibilities of its realization. 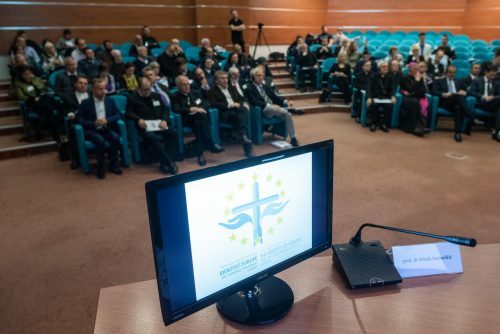 Within the framework of the panel, the issues of European values, their origins and implementation were also discussed. 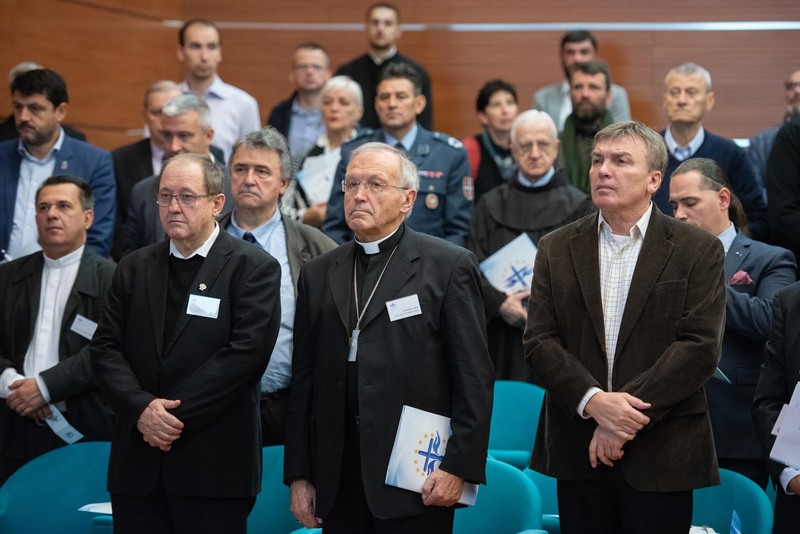 After the panels were completed, the conclusions of the conference were made and the participants addressed a message of peace.